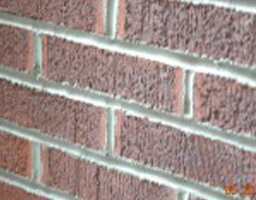 American Restoration Services restoration also specializes in masonry pointing witch is defined as replacing the mortar joints between brick or stone. ARS carefully grinds out the existing joints by hand and replaces them with the correct type of mortar. ARS is able to match the existing joints in color and texture or can also change the color of the mortar entirely. Customers are amazed how changing the color of mortar can provide a dramatic new look to their home or building. Pointing is truly an art and ARS uses the most advanced equipment available, however much of the work is still done by hand to this day.